It’s tough to eat on the $4 a day a person the food stamp program allows and even tougher if you have religious or health constraints. 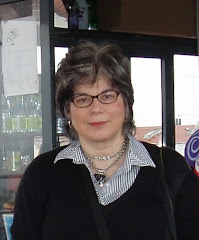 So I thought as part of my 2010 Hunger Challenge experience I would try a sample day where all I would consume would be kosher (according to Jewish dietary laws) and another where everything was organic. Here’s a bit about my experience of trying to keep kosher on $4 a day. (A brief recap – the Hunger Challenge is sponsored by the San Francisco Food Bank to increase awareness of hunger and related issues in our community by having bloggers and others live on a “food stamp budget” of $4 per day per person for food.). These constraints can be costly and time consuming. For example, the kosher ground beef I bought for the recipe below was $5.99 a pound. The same grade of ground beef without being butchered and handled in the prescribed religious manner was about $2.29 a pound. Also, any processed food has to be certified and labeled kosher, meaning it does not contain any prohibited food items (such as pork or shellfish) and does not mix meat and milk products. Such certification limits choices and can add to the cost as well. I kept costs down by shopping discount food stores spending about double the amount of time I normally would comparing prices and reading packaging to make sure my choices were properly certified. I bought quick oats certified kosher in bulk and having that for breakfast with a small piece of fruit and a dollop of yogurt also helped keep my overall food costs down. For lunch I had a large bowl of vegetable soup with a slice of bread, but a serving of my Hunger Challenge Chili (cut the recipe in half and use only ½ pound of ground beef) over some rice or a baked potato would have worked well. I snacked on some carrots and celery stalks dipped in yogurt. Since we are in the middle of celebrating the Jewish holidays this fall, I thought I would break some of the rules I make for myself when it comes to the Hunger Challenge. I generally develop easy, relatively quick-to-make entrees, but I wanted to make something special for a holiday dinner. 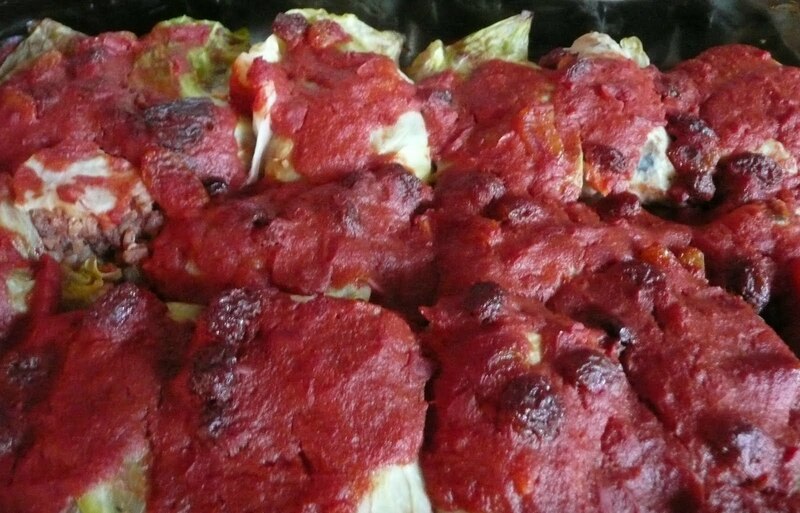 This Hunger Challenge Stuffed Cabbage will take a little more time but can be made ahead and reheated. Serve it to a group of guests or enjoy it for several meals. I had to change the recipe to reduce meat and seasonings to trim costs. My cost for the food used was $1.05 a serving, which means I could serve the stuffed cabbage rolls with mashed potatoes or rice and steamed carrots on the side and still come in at about $1.25 a person for this meal. Make rice according to package directions. Leave covered and set aside. In a large sauté pan, heat oil. Fry onions until golden, add garlic. Sauté and add 3 cups of chopped cabbage, carrots and celery. Sauté until softened. Add mushrooms, sauté for 3 minutes, add beef, browning and breaking up any clumps. Add ¼ tsp salt, pepper and hot sauce. Add ½ can of crushed tomatoes. Combine well. Fluff rice. Mix well with meat mixture. Taste and adjust the seasoning if needed. Preheat oven to 350 degrees. Spread ½ cup of the tomato sauce on the bottom of a 9” x 13” baking pan. Place a heaping ¼ cup of filling in the middle of a cabbage leaf. (Overlap two leaves if small.) Fold over the two shorter sides of the leaf. Fold over one of the longer sides, then the other. Place folded side down in the baking pan. Repeat. Combine remaining tomato sauce and crushed tomatoes in a sauce pan, add drained raisins, 1/8th tsp of salt and the sugar. Heat through. Add 1 Tbs. of vinegar. Taste and adjust seasoning to as needed. Spread sauce over top of rolls. Bake until heated through, approximately 40-45 minutes. Can be made ahead and reheated. If you would like information on how to help in your area, please go to Feeding America to find a food bank near you. For more information on the San Francisco Food Bank, click here. 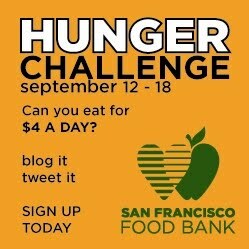 To get the latest on the Hunger Challenge, go here. This recipe and part of this article first appeared in the j. weekly. You can see the original column here. You seem to be making life a bit more complicated than it needs to be. ;) Thanks for sharing your frugal version of the beloved cabbage roll with us. It was an artificial exercise -- so I choose to make it complicated, especially since I'm neither kosher nor on food stamps. I was just trying to increase awareness. Thanks Dana and Amatuer Cook for stopping by and taking the time to comment.